Click the picture above to see the video from our time on Capitol Hill back in April! outreach time of 2013? It's been an incredible year and we want to give thanks for all that the Lord has done in our city. We will be convening on Capitol Hill this month, and then going out in that area. and forevermore. The zeal of the Lord of hosts will accomplish this." Join us at 12:00pm on Saturday, December 14, 2013 at Capitol Hill Presbyterian Church to join them in prayer and share the Gospel on the hill. Please bring a light snack for the group with a Christmas theme as we’re going to share what God is doing there before we go out. Free Parking is available in the CHPC lot immediately (north) across the street from the church in their pay-to-parking lot. 12:00 PM – (Please note this is a new time.) Fellowship, have a cup of tea/coffee, and a bite to eat. 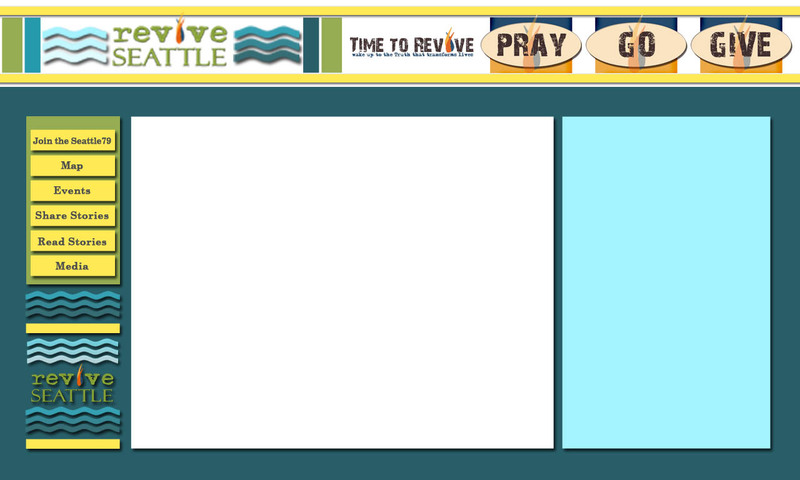 News on Pastor James’ church and how we will serve & support their efforts to Revive Seattle. 3:30 PM – Meet back at Capitol Hill Presbyterian Church to share testimonies. Please reach out to Buzz Leonard if you have any questions! foundation of Jesus Christ. But that is not what Jesus said. What He said was, “Everyone who hears these words of mine and does them will be like a wise man who built his house on a rock.” The fool, He went on to explain, is the one “who hears these words of mine and does not do them.” The wise man survives life’s worse storms. The fool is unable to survive the same storms which come on everyone (Matthew 7:24-27). (Matthew 4:4). We become what we eat. If we eat the Word it does not simply remain in our brain as knowledge, it gets down to our feet (as Henry Blackaby always said) and we walk it. Our final verses in the presentation of the Gospel say that if two things occur “you will be saved”. The first is “to confess with your mouth that Jesus is Lord.” The second is to believe in your heart not simply your head. (Ephesians 10:9-10). Lordship means obedience and we must not forget that The Great Commission commands us to teach new Believers “to observe (obey) all that I have commanded you . . .” (Matthew 28:20). It is not enough to know, we must obey - and teach obedience. Copyright © 2013 Time to Revive, All rights reserved.